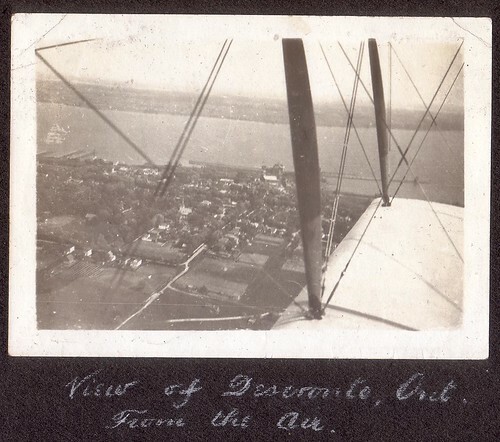 On this day in 1918 Deseronto played a small role in a historic moment: the first delivery of mail by air in Canada. The full story of Captain Brian Peck and Corporal C. W. Mathers’ flight is described in Bill Hunt’s 2009 book Dancing in the Sky. 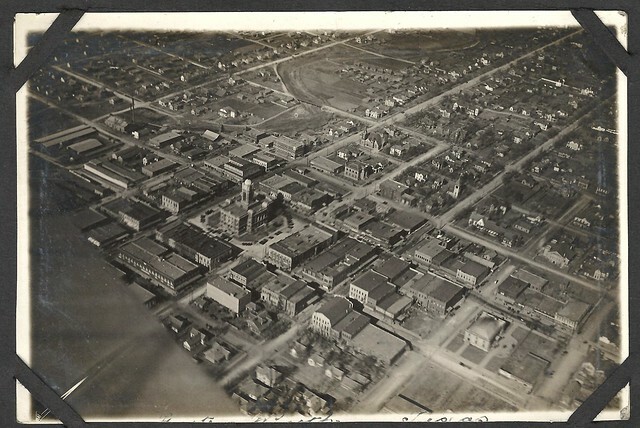 Peck and Mathers’ fundamental plan was to avoid Ontario’s Prohibition restrictions by flying to Montreal to pick up a case of whiskey so that they could celebrate a colleague’s wedding. They got permission by arranging to fly over Montreal in an aerobatic display and leaflet drop to encourage recruitment into the Royal Air Force. 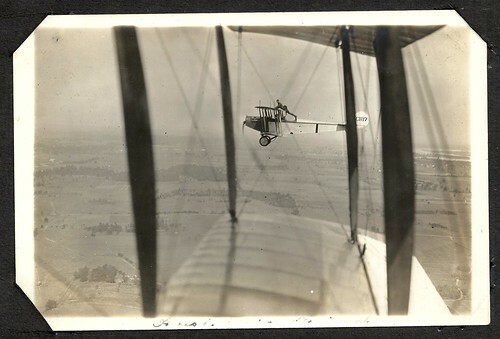 The Aerial League of the British Empire got involved with the plan: they were keen to demonstrate the use of aircraft to deliver mail and Peck’s trip gave them the opportunity they had been looking for. Peck and Mathers took off from Leaside in Toronto on June 20th. They refuelled in Deseronto and landed in Montreal at the Bois Franc polo field (Montreal did not have an airfield at the time). Heavy rain prevented the aerobatic display on the 22nd June and they were unable to fly out on the 23rd because of poor visibility. On Monday the 24th, the two men, their crate of Old Mull whiskey, and a sack of 120 letters finally took off. 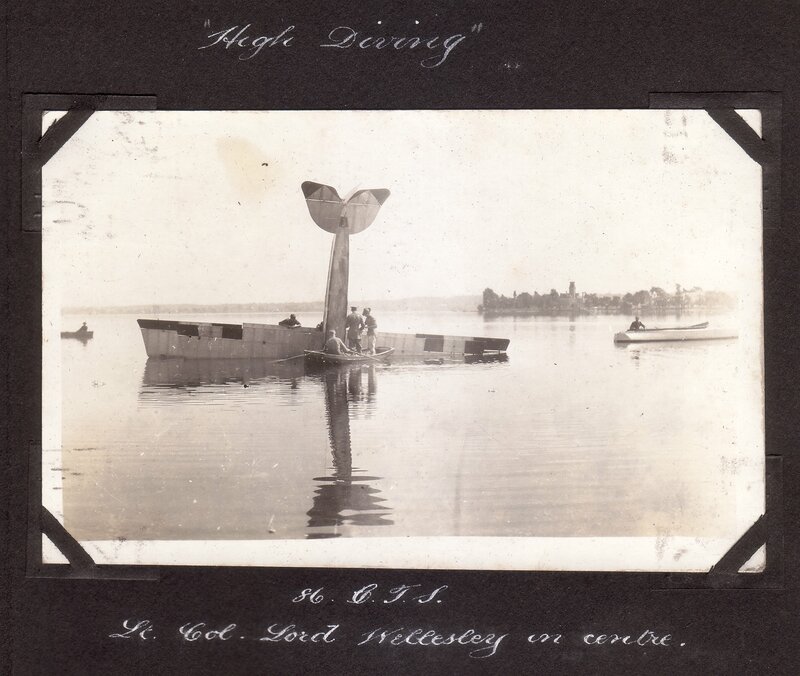 The extra weight of the whiskey prevented them from flying more than 40 feet above the ground and they had to land at Camp Barriefield in Kingston, short of fuel. 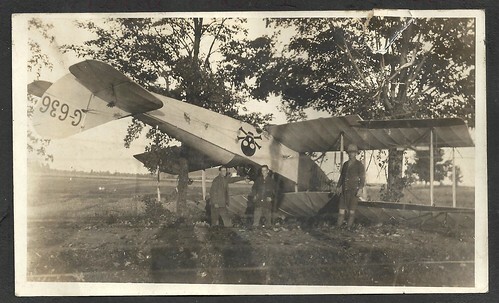 There was no aviation fuel in Kingston, so regular gasoline was used to refuel the Curtiss JN-4 aircraft. They were then able to fly the short distance to Deseronto, where the tank was drained and refilled with the correct fuel at one of the RAF camps here. Beck and Mathers were then able to fly back to Leaside. Peck drove the mail by car to the Toronto post office, while Mathers delivered the whiskey. A plaque at Leaside commemorates the occasion (without any mention of the whiskey!). 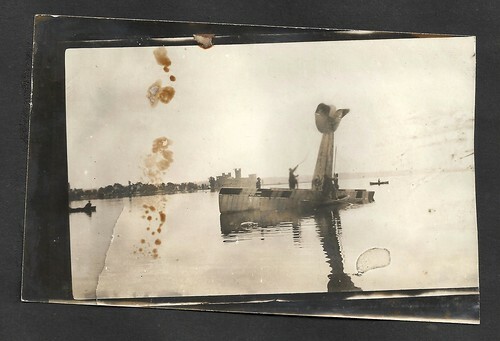 Readers of this blog will be very familiar with the exploits of the pilots who trained at Deseronto in the First World War, but may be less aware of the pilot training that took place in the area during the Second. The former Camp Mohawk site on the Tyendinaga Mohawk Territory became part of the British Commonwealth Air Training Plan, as No. 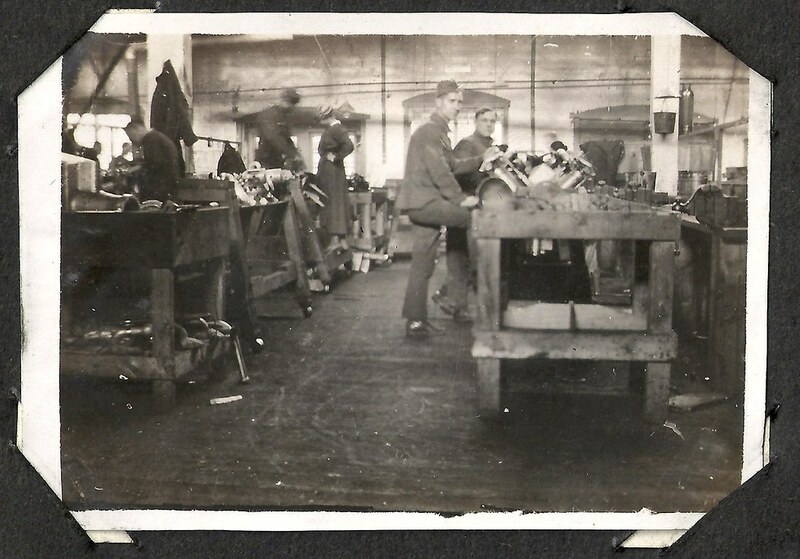 1 Instrument Flying School, during World War II. 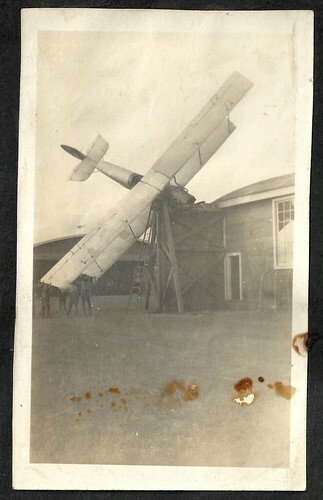 A recent visitor to the Community Archives in Belleville brought in some materials which relate to Flight Officer George McCallum Sheppard’s time at the School. Sheppard was from Gananoque, and was stationed in Tyendinaga from 1940 to 1945 as part of ‘B’ Flight as a flight instructor. This photograph is of an unofficial coat of arms designed by a member of the school, which lists the people who worked there: J. A. 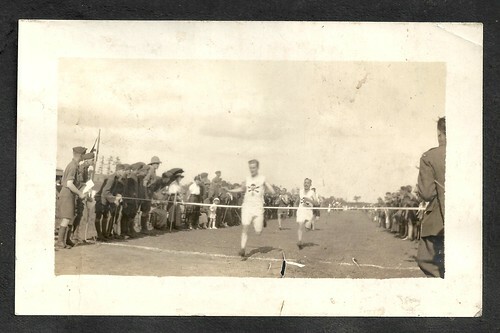 ‘Jack’ Coulter, J. E. ‘Johnnie’ Millard, R. W. ‘Ralph’ Snider, D. K. ‘Mac’ McColl, L. G. ‘Lloyd’ Polden, W. E. ‘Mac’ McKinney, J. H. ‘Joe’ Wiley, R. A. ‘Bob’ Harris, D. H. ‘Sammy’ Wood-Samman, J. H. ‘Jimmy’ Clarke, W. F. ‘Bill’ Veitch, W. H. ‘Bill’ Durnin AFC, P. M. ‘Pete’ Bickett, E. E. ‘Hake’ Hacon, A. A. ‘Art’ Egan, G. J. 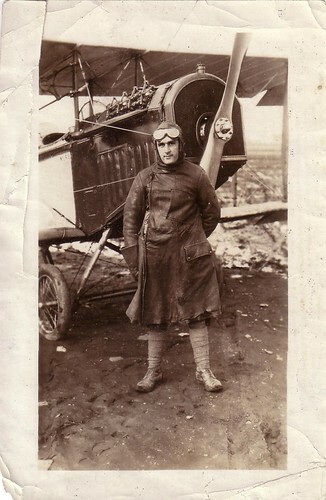 ‘Fin’ Finlay, G. M. ‘Shep’ Sheppard, W. J. ‘Bill’ Morrison. Harold Mills, the donor of these materials is interested in knowing whether anyone can identify the location of the house in the image below. It was the scene of a crash that took place on August 3rd, 1943. Flight Officer Sheppard’s Airspeed Oxford lost power to its port engine and clipped two trees before crashing just short of this farmhouse. Mr Mills would love to know where the house was. Please comment if you can help. A report from the Napanee Express of November 15th, 1918, four days after the signing of the Armistice. One result of the signing of the armistice will be the immediate close of the two aviation camps at Deseronto, Camp Mohawk and Camp Rathbun. The commanding officers received instructions Monday morning from Ottawa to make arrangements for the demobilization of the force and the safe storage of machines and equipment. The engines are being taken out of the planes, coated with vaseline and being stored away. This work it is expected will be finished in about two weeks, and then the camp will be abandoned except by caretakers. It was decided some months ago to make use of the camps at Deseronto all winter, and not send the men south for training the same as had been done last year. It as the intention to install elaborate heating and sanitation systems so that the men would be comfortable during the cold weather. About a month ago, however, the authorities at Ottawa, apparently ordered the discontinuation of the work. The aviation camps have been popular resorts for sight seers the past two years, and the planes have been a frequent spectacle manoeuvering over our town. The men also have been welcome visitors to the town on many occasions. They were of a superior class, always well conducted and gentlemanly. Their departure will mean a social and sentimental, as well as a real business loss to the merchants of Deseronto.